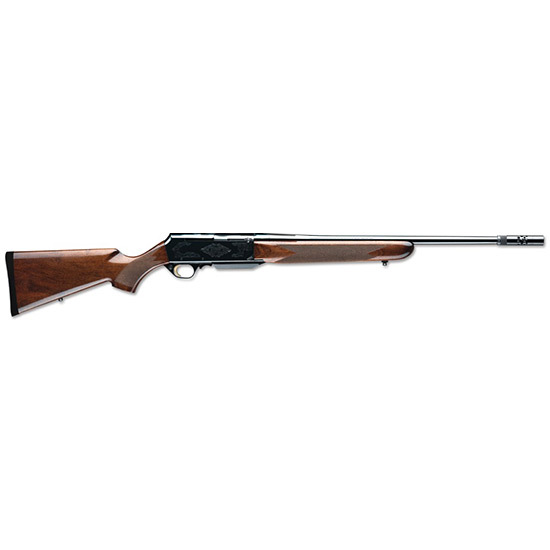 Browning 031001223 BAR Safari Semi-Automatic 25-06 Remington 24 4+1 Turkish Walnut Stock Blued in. Brownings Safari rifle is available with a blued onepiece steel receiver with scroll engraving along with a select walnut stock and forearm. The reliable gas operated action reduces recoil and quickly cycles every round. All models feature a detachable box magazine and factory installed sling swivel studs.